YASUNÍ NATIONAL PARK, Ecuador — A decisive battle is just beginning for Indigenous peoples and ecologists who have been watching helplessly as state-owned oil company Petroamazonas settles into Yasuní National Park, one of the world’s most biodiverse areas, to take advantage of its oil reserves. Oil extraction in Yasuni is happening in Blocks 31 and 43, better known as the ITT Initiative, and is made up of the Ishpingo, Tambococha, and Tiputini fields. In October 2013, the Assembly accepted the request of former President Rafael Correa to allow hydrocarbon extraction in Blocks 31 and 43. These blocks encroach on the Tagaeri-Taromenane Intangible Zone (ZITT), created to protect Indigenous communities in the area whose residents choose to remain isolated from other people. For the first time, those opposing the initiative have a crucial weapon to fight the extraction of oil, which began more than four years ago. This weapon against the extraction is known as “popular will” and is supported by 6.1 million Ecuadorians (with 98.5 percent of the overall vote) who voted “yes” to Question Seven on a recent referendum. 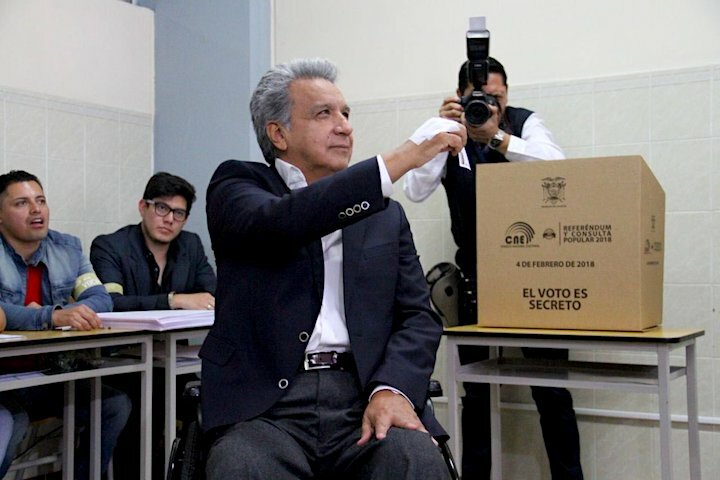 The referendum was organized by President Lenín Moreno to address changes at the economic, political, judicial and environmental levels. The results of the referendum also eliminate Ecuador’s policy of indefinite reelection, which prevents former President Rafael Correa’s intended re-election to the presidency. “Are you in favor of increasing the Intangible Zone by at least 50,000 hectares and reducing the oil extraction area in Yasuní National Park from 1,030 to 300 hectares?” asked the referendum, which took place on February 4. Environmental groups like Yasunidos were opposed to the question, because they would prefer to completely stop the extraction in ITT Blocks 31 and 43. 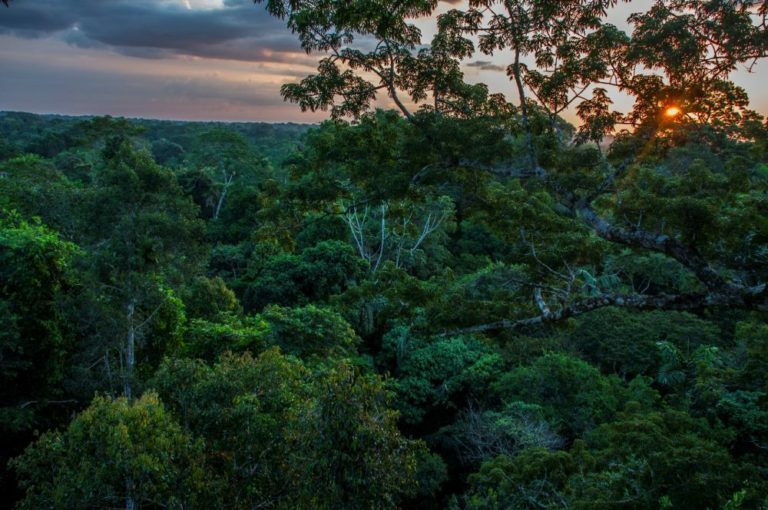 Even so, several environmentalists interviewed by Mongabay Latam said that the referendum’s “yes” vote gives them a basis for preventing Petroamazonas from extracting oil in Ishpingo Field. This particular field is the crown jewel of the ITT Initiative and, according to the Ministry of Hydrocarbons, oil extraction is slated to begin there in the middle of 2018 upon receiving authorization from the Ministry of the Environment. Ishpingo Field is located on the Intangible Zone, a strip of 10 kilometers (about six miles) surrounding the 758,000 hectares that make up the exclusion area. The exclusion area was delimited by Executive Order 2187 on January 3, 2007. Additionally, part of the oil field is located within the Intangible Zone itself. Pedro Bermeo, a member of the Yasunidos Collective who voted “yes” on Question Seven of the referendum, told Mongabay Latam that the organization will be vigilant as to whether the government complies with the decision to protect Yasuní. “We will see to it that this decision is fulfilled, that the Intangible Zone is really expanded, with technical studies based on the mobility of the isolated communities, which do not only cover 50,000 hectares but much more,” said Bermeo. He added that analyses were carried out that were based on Petroamazonas’ impact studies in the area, which suggest that an area of land larger than the 300-hectare limit would be affected. “These studies show that … by opening roads and platforms, 743 hectares would already be affected,” he said. Bermeo said exploitation should stop once 300 hectares are affected by extaction, which is the limit established by the referendum. José Proaño, an anthropologist and director of Land is Life in Latin America, said the “yes” vote is a victory for the protection of biodiversity in Yasuní and helps set the bar high at a regional level. “I believe that the government has to be clear in that if they ask the people, they are asking the people. The people aren’t just going to say if they agree or not; the people should say how things are done,” Proaño said. He also discussed Ishpingo Field, of which the majority is within the Intangible Zone. “The buffer zone is the Intangible Zone. The buffer zone doesn’t limit extractive activities — on the contrary, the buffer zone serves to improve the environmental quality of the Intangible Zone. Therefore, the activities within the buffer zone should be prohibited,” he said. Proaño criticized the fact that Blocks 31 and 43 extend to the Intangible Zone. “All the other blocks and small fields are reduced to accommodate the limits of the Intangible Zone, except for those two. There was a trick played on the part of Correa’s administration that showed his intentions of exploitation, because the largest ITT field is Ishpingo, and the largest oil reserve of the ITT is inside the Intangible Zone,” he said. 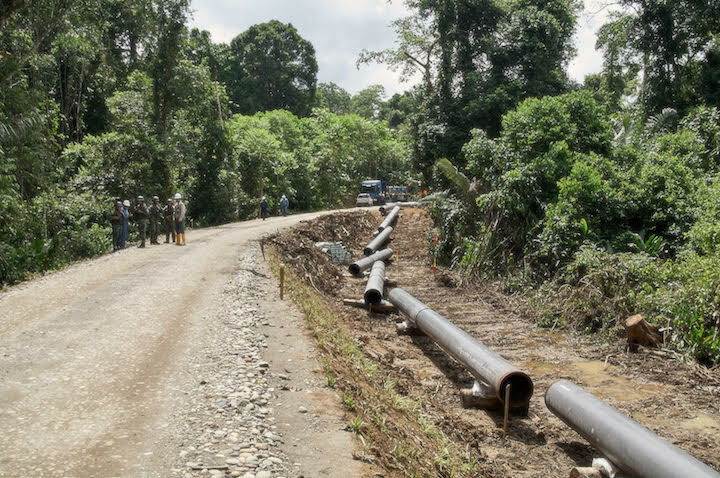 Proaño wonders if the Ministry of Hydrocarbons will now be able to lift the legal locks that protect the Intangible Zone, allowing Petroamazonas to exploit Ishpingo Field. Roque Sevilla, the former President of the Yasuní-ITT Initiative, was considering forgoing extraction in exchange for financial compensation from the international community. Now, he doesn’t hesitate to say that to him, the referendum was nothing but a formality that will not be respected. “It’s the most profound and most productive field, in such a way that they’re going to come into the Intangible Zone and do the exploitation. That is the unacceptable part; that’s why the referendum is a bit cynical,” said Sevilla, who also served as Mayor of Quito. Sevilla said Question Seven on the referendum gives him a bad feeling because it discusses expanding the Intangible Zone while the state-owned oil company is preparing to exploit a field within it. However, he also acknowldeges the upside to expanding the limits of the Intangible Zone. Sevilla explained that extracting oil from an ecosystem as fragile as the ITT area could lead to “brutal damage from events like the glare of the torches that are always lit, the air pollution, and the noise that the whole process includes … Not to mention the destruction of the forest’s continuity, which affects the migration of animals. And most importantly: what happens to the isolated communities?” he said. 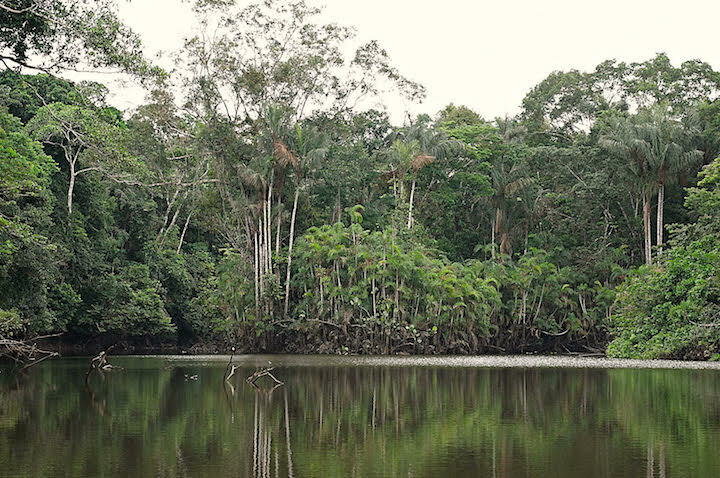 Sevilla said that the Ministry of the Environment doesn’t have enough political force to refuse to give the Ministry of Hydrocarbons authorization to exploit Ishpingo Field. “That is absolutely gruesome; where there is oil, there is also exploitation no matter what,” he said. Currently, around 50,000 barrels of oil have been extracted from Tiputini Field, the first area to be exploited in Block 43. According to the government’s calculations, Block 43 of the ITT has an oil reserve of about 1.672 million barrels. Last December, Tambococha Field, within Yasuní National Park, also began to be exploited. Ishpingo is the last field where oil extraction has yet to begin. The seventh and last question on the referendum was the only one that did not contain an appendix explaining what legal position the government will take in order to enforce the popular will. 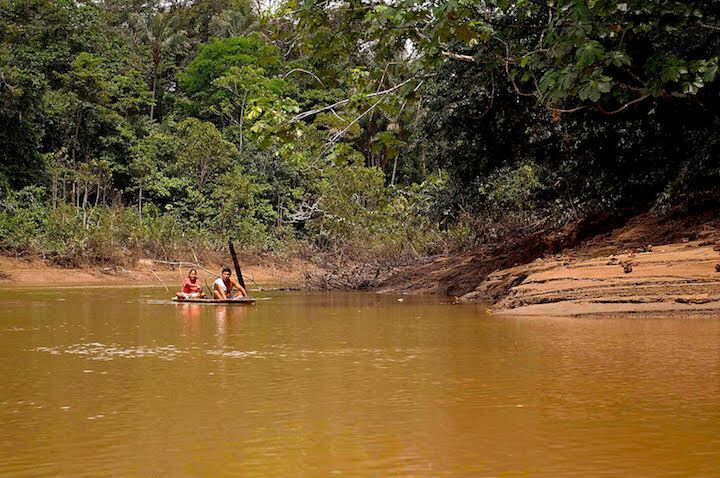 Natalia Bonilla, a member of Ecological Action, said that although the intention to expand the Intangible Zone is positive, it is not sufficient to protect those in isolated communities. “I believe it’s important to see that the territoriality of voluntarily isolated communities happens in almost all of Yasuní, since we are talking about four independent clans who have different territories. So, the expansion of the Intangible Zone could be a breath of fresh air, but what we really need is the recognition and protection of all territories of the voluntarily isolated communities,” she said. Expansion of the Intangible Zone would help protect isolated communities, but Proaño says a series of technical, anthropological and ethnographic analyses is required for expansion to be possible. Another necessity is a conversation with the Waorani community to determine which areas need the most protection in order to preserve the isolated communities’ territoriality. “That territoriality will be preserved in an approximate sphere, until eventually [the isolated communities] define their territory,” Proaño said. He added that it isn’t about oil blocks, but instead about the territories of the isolated communities. Proaño told Mongabay Latam about a proposal to expand the Intangible Zone made by the Commission of Investigation of the Waorani-Taromenane Massacre in 2013. “They proposed a detailed extension zone in the northern part, very close to where the last few attacks were, based on where the houses and farms are in the area,” he said. 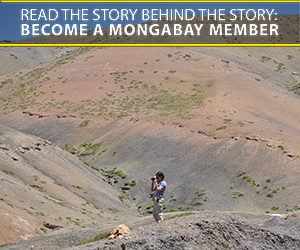 Mongabay Latam made several requests for information to the Ministry of Hydrocarbons, the Ministry of the Environment and the Ministry of Justice. The Ministry of Justice is responsible for the execution of the measures within the Inter-American Court of Human Rights (CIDH) in favor of isolated communities. Information was requested regarding the areas in Blocks 31 and 43 that are currently being exploited, environmental management plans in place to reduce the impact, and proposals for the expansion of the Tagaeri-Taromenane Intangible Zone. Although there was confirmation that the requests were received, Mongabay Latam’s questions had not been answered by presstime. However, in a publication in Ecuadorian newspaper El Telégrafo, the director of the Ministry of Hydrocarbons, Carlos Pérez, said that the state proposes an expansion of 62,000 hectares divided into four areas adjacent to the Intangible Zone. Pérez confirmed that they are processing the authorization of the Ministry of the Environment to begin the extraction in Ishpingo Field. Pérez and Tarsicio Granizo, the Minister of the Environment, as well as a group of journalists, toured a portion of the ITT allotment to confirm the implementation of ecological connectivity, depressed walkways and canopy bridges. “We have seen an operation that has somehow been cautious with the environment; we have seen that the road is curved and has avoided certain ecological areas, and certain emblematic trees,” said Granizo in a press release. The “yes” result on the referendum’s Question Seven is generating many expectations for the environmental standards that may come out of it. The same is occurring with the Question Five, which reads: “Are you in favor of amending the Constitution of the Republic of Ecuador to prohibit, without exception, metal mining in all its phases, in protected areas, intangible zones, and urban centers, in accordance with Appendix 5?” This question received 6.2 million “yes” votes, which is equal to about 68.8 percent of the voter turnout. For this question, there are appendices that outline the changes that would be introduced in the Constitution and to the Organic Code on the Environment that would put the restrictions in place. According to environmentalist Roque Sevilla, if this change had been enacted previously, it could have prevented the construction of open-pit mines in Ecuador’s Condor mountain range. This story was first published by Mongabay Latam in Spanish on February 5, 2018.